Some things just go together -- and the obvious accompaniment to food is drink. Welcome to Booze52, in which we explore all manner of libations, from A to Z, that do much more than just wash down a meal. You say DAK-ery, I say DYE-kery. However you pronounce it, the word screams tropical venues with palmetto fans, thatched rooftops, and a sapphire-blue sea. 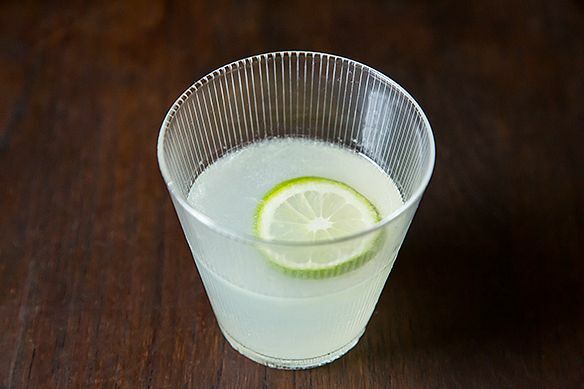 In the past 40 years, this once-unassuming daiquiri somehow morphed into a clichéd umbrella drink, served slushy and sweet with chunks of pineapple in a piña colada glass. It was my date drink of choice at UCLA whenever someone with enough money to take me off campus asked me out (very rare). Chart House, Gladstone’s, Monty’s Steakhouse -- all of them served up a fancy daiquiri with all the trimmings. A real step up from Bacardi and Coke, another of my frequent cocktail orders. Despite its Spring Break affiliations, the daiquiri’s origins nod to the working stiff. This simple drink of rum, lime, and sugar was first enjoyed by Cuban sailors in the 19th century and introduced to Americans after the Spanish American War. 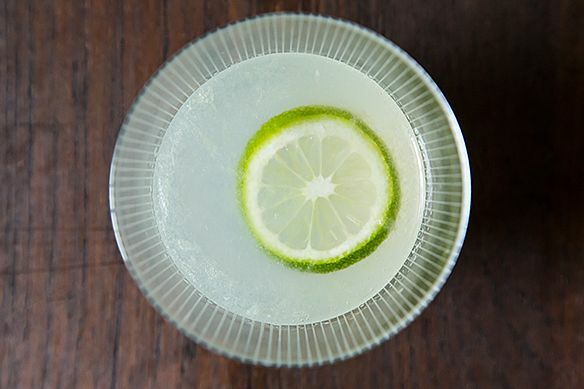 Limes and rum are the major players in many classic cocktails -- it's a partnership of sweet and tart that works well for quenching thirst (and staving off scurvy). This refreshing drink with paisano roots developed a cult following after Ernest Hemingway reportedly adopted it as his cocktail of choice. According to Jim Meehan in The PDT Cocktail Book, Hemingway was a diabetic, so his mix had maraschino liqueur and grapefruit juice instead of sugar. Sweet cocktails reached a zenith in the '60s, '70s and '80s, and that's when daiquiri recipes changed drastically. Their descendants are the ones you drink in Bermuda, Palm Springs, and Vegas. Tasty for sure, but the rum and lime are completely obscured. Since the cocktail is so simple, it pays to use the best ingredients, and to be somewhat obsessive about proportions. Buy the best rum you can, and note that your local A&P probably isn’t the place to find it. (Read: Set your sights above Bacardi.) Use fresh-squeezed lime juice -- it makes a difference. Make your own simple syrup. It’s easy: Add 1 part water to 1 part sugar in a medium saucepan and bring to a boil. Turn the heat down and simmer for 3 minutes. Cool and store in tightly sealed container in the refrigerator for up to one month. Light (also called white or silver) rum is clear and more neutral in flavor than gold, dark or spiced rum. It makes for a clean, bracing daiquiri. For an interesting variation, you might try a blend like Banks 5 Island, which is clear but has about 20 different rums in it for more complexity. In college, rum was like any other spirit -- a means to an end, where taste was not the object. Now, I actually enjoy drinking it straight to identify the various flavors it reveals. The better the spirit, the more nuanced it will be. Although my recipe calls for serving the drink straight up, you might try drinking a daiquiri "frappé." All this means is pouring your blend over cracked or shaved ice. Slushlike without going over to the sloppy side. For another variation, it doesn’t hurt to follow in Hemingway’s footsteps with Maraschino liqueur. It makes it fancy without killing the rum and lime, and conjures up that deliciously grownup feeling you had when your parents let you eat the bourbon-soaked cherry out of their Old Fashioneds. Add about .25 ounces of Maraschino to the recipe below. You can also add a splash of grapefruit juice. Of course, Hemingway always made it a double. Shake with ice and strain into a martini glass or coupe. Garnish with a lime wedge. Save and print this recipe here. Looking forward to making a classic, non-frozen daiquiri. Would you tell me, please, where to get that glassware? I love it! I totally want to try Hemingway's version!